Beautiful & More Affordable…than you ever imagined! Impressive ‘cared-for’ 1-BR w/walk-in closet, dishwasher, NEW paint & carpet throughout, central A/C, on-site laundry, appliances, upper units w/decks, controlled access, garages w/remote opener available, off-street parking, bus stop in front of building, water/garbage included. Convenient central location close to Avera-McKennan Hospital & Park, banks, shopping, eateries, City Bike Trail within one block. Fast travel around city w/quick access to artery streets. No Smoking or Pets. References Required. Deposit $400. 601 S 4th Ave. Call Mike (605) 321-4928 anytime or email mikedwinter@yahoo.com for added information or to set up your personal showing. EXTRA Large 1-BR Apts (Holly “100”, Lakeside, The Sands, Englewood Estates, Dawn Lake, NBC Village & Holiday Manor). Babinski Properties offer clean, affordable Apts. Choose from a variety of styles to meet your individual needs. Water, sewer & garbage included in rent. Heat is generally included (The Sands has individual heat, central air & indoor pool!). 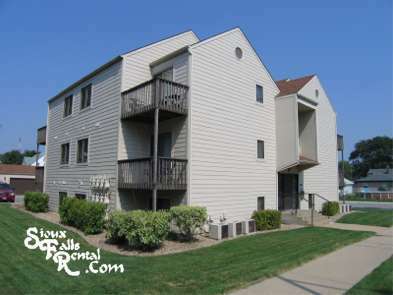 All units have a deck/patio, controlled access, off-street pkg w/garages avail. No Pets, please. Babinski Properties. Schedule showings 605) 339-1053; babprop@midconetwork.com. Ask about student specials! Visit our website for more information. 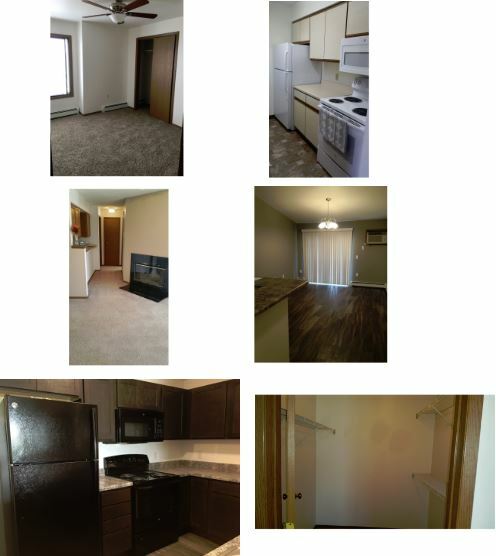 Quality & Comfort ~ 1-BR/1-Full BA Apt w/HEAT Included. Walk-in Closet, Ceiling Fans, Sliders from Living Rm to Deck, Appliances, On-site Laundry, Off-street Parking. Fast access to vibrant & exciting Downtown eateries, specialty shops, entertainment, Pavilion, Sculpture Walk, River Greenway, Falls Park, Theaters & so much more! Background/Credit/Employment/Rental References Checked. $400 Security Deposit. Application Fee per person. No less than 6-Month Lease. 910 S Phillips Ave. Appointment Only (605) 940-6878; chuckandjoe@sio.midco.net. An Irresistible Must See! The Perfect Fit! No Limitations on HAPPINESS @ JAKE Apts! You’ll find ‘outstanding’ care of building & tenants. HEAT, water, garbage paid, built-in microwave, dishwasher, appliances, walk-in closets, ceiling fans, blinds, on-site laundry, deck/patio, A/C, controlled access, off-street pkg. Garage w/opener avail. Easy access to shopping, eateries, arterial streets & I-29 to travel City quickly. No Pets, please. Crime-Free Bldg @ 1512 N Garfield Ave. 605-553-1855 ; siouxfallsapts@yahoo.com. Newsflash! 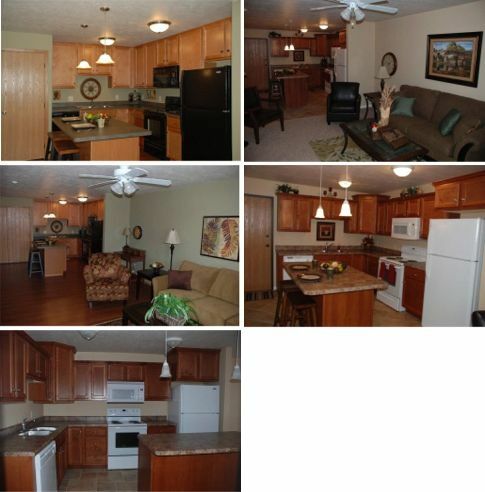 Spectacular Setting ‘On The Lake’ ~ 1-BR Apt (700 sq ft) @ ‘Lakeside Apts’ w/Heat, water, trash included. Captivating ‘Westside’ location w/lake, tennis & volleyball courts, playground, softball field to enjoy! Controlled access, phone entrance system, lg balcony/patio, walk-in storage, A/C, baseboard heating, dishwasher, appliances, disposal, off-street pkg w/garages avail @ $40/Month. Each floor has laundry area. You’ll welcome the attractive carpet. 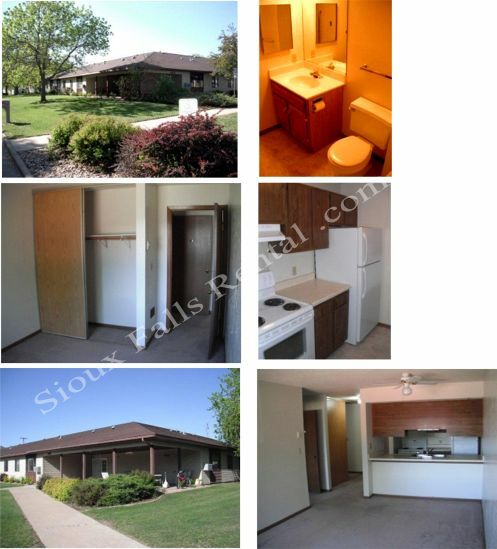 Fast access to Southeast Technical Institute & University Center, Sanford Pentagon Sports Complex, Sanford Premier Center, shopping, arterial streets & I-29 to travel City quickly! Please, No Pets. 6-Month Minimum Lease. $400 Security Deposit. 2201 W 6 St. Babinski Properties. Schedule showings (605) 339-1053; babprop@midconetwork.com. Come Home to Warmth & Comfort! Absolute Quality & Comfort ~ Warm Design Adds Welcoming Touch @ Timberline Apts. Expect the BEST w/ Heat, water, garbage paid, built-in microwave, dishwasher, appliances, walk-in closets, ceiling fans, blinds, on-site laundry, deck/patio, A/C, controlled access, off-street pkg & ‘outstanding’ care of building & tenants. Owner-managed. Garage w/opener avail. Enjoy fast access to businesses, arterial streets & I-229 to travel City quickly! No Pets/Smoking. Previous Landlord References required. Crime-Free Bldg @ 2801/2901 E Madison St 605-553-1855 ; siouxfallsapts@yahoo.com. 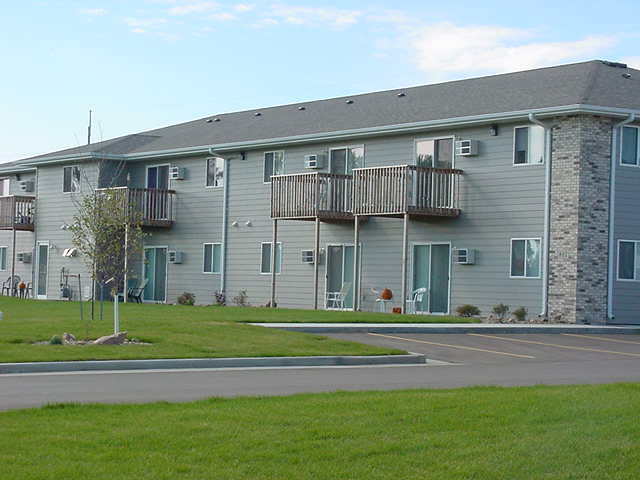 Brandon, SD: “Small-Town Living Near Big-City Amenities.” Just 5 miles E of Sioux Falls, 1411 E Rushmore – AUTUMNVIEW II—an affordable $550 per month Market Rate property & 1411 E Rushmore—AUTUMNVIEW I offers Income-Based units under the HUD Section 8 Program. 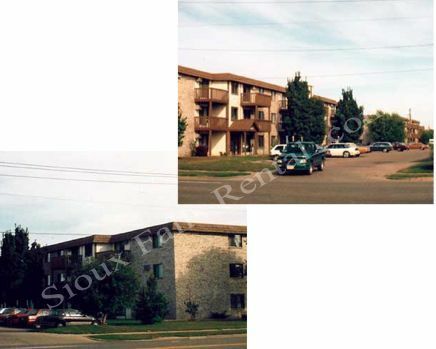 Both buildings are ALL 1-BR units & feature large ‘walk-in’ storage, updated flooring, appliances & more, off-street parking, security entrances, community rooms, on-site laundry. Brandon offers good schools, satellite clinics from Avera & Sanford, shopping, restaurants, city & state parks and more. Go to our website for more information, pictures & printable applications OR call Kellee (605) 360-9770/ Jeff (605) 924-0118. 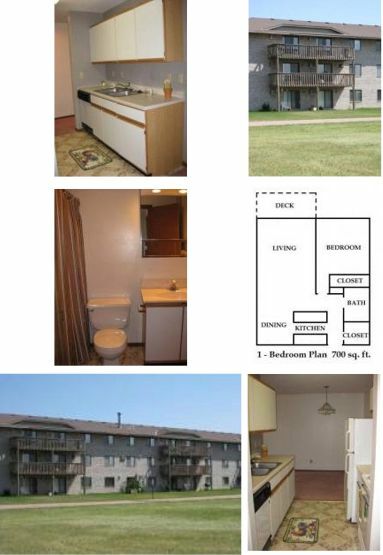 Attractive Westside 1-BR Apt (700 sq ft) @ ‘Holly Apts’ w/Heat, water, trash included. 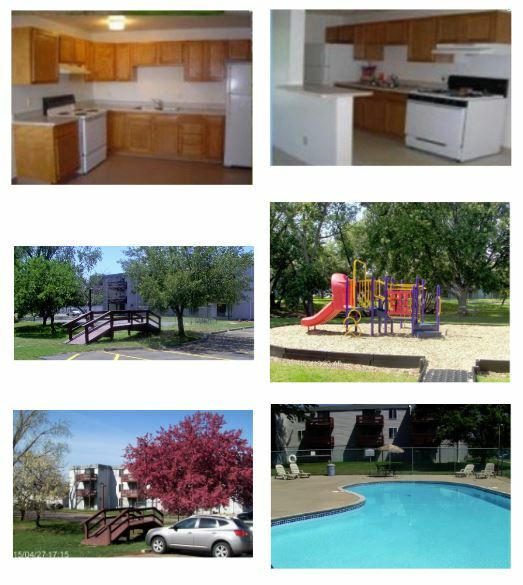 Enjoy being by a lake, tennis & volleyball courts, softball field & have off-street pkg w/garages avail @ $40/Month. 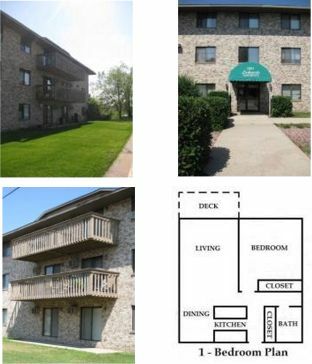 Beautiful carpet, walk-in storage, lg balcony/patio, A/C, baseboard heating, dishwasher, appliances, disposal. Delight in having laundry on each floor & use of a whirlpool, Weight Rm, Sauna, phone entrance system, controlled access, playground. Fast access to Southeast Technical Institute & University Center, Sanford Pentagon Sports Complex, Sanford Premier Center, shopping, arterial streets & I-29 to travel City quickly! Please, No Pets. 6-Month Minimum Lease. $400 Security Deposit. 300 N Holly Ave. Babinski Properties. Schedule showings (605) 339-1053; babprop@midconetwork.com. Comfortable & Convenient Location! Incredible ‘Brand NEW’ 1-BR Apts @ ‘The Meadows’—You’ll Fall in Love w/the Beautifully-Designed Floor Plan! Impressive kitchen ‘captures your eye’ w/popular granite-looking countertops, Center Island w/dishwasher, sink, cabinetry on one side & Breakfast Bar opposite side, built-in microwave above stove, frig & desk cove. Security system, central A/C, spacious walk-in closet, ceiling fans, mini-blinds, laundry facilities, patios/decks, close to school, dead-bolt locks, DSL ready, ample pkg. Garage avail. Water & garbage included. $400 Security Deposit. 12-Month Lease. Application fee $40 per adult. No Pets/Smoking. Enjoy ‘small-town atmosphere’ & big City living just minutes from some of the area’s most desirable shopping, dining, recreational options. 411 Honeysuckle Dr, Harrisburg, SD, on S edge of Sioux Falls (605) 940-6878; (605) 201-6431; chuckandjoe@sio.midco.net. Some Handicap Accessible Units. Incredible Resident Care w/Incredible Quality & Affordable 1-BR Apts @ Meadowbrook (HEAT, water, garbage included) Stylish smart-looking kitchen—‘frig w/ice maker, dishwasher, stove. Air conditioning, on-site laundry, deck/patio, controlled access, off-street pkg, garage w/opener avail. Quick access to arterial streets & ‘3’ Interstates for fast city travel! $400 Security Deposit. $45 cash application fee per applicant over age 18. Pet-Free/Smoke-Free Building. Crime-Free Multi-Housing Program. 4121 W Newcomb Dr (from I-29 & W 12th St go E to Lyons Ave turn S about 3 blocks) 12-Month Lease (605) 275-4601; meadowbrookapartments@sio.midco.net. Simply Unbeatable Charmer! ‘Awesome’ Hayden Pointe Nestled in a Peaceful, Park-Like Residential Neighborhood Enhanced w/Beautiful Mature Trees/Spacious Lawns w/Convenience & Comforts by being 5 minutes from Empire Mall! We invite your inquires & suggest you take time for a first-hand look & recognize an on-site staff providing superior level of beauty, comfort, convenience! Truly, a hidden GEM campus to enjoy! We offer great storage lockers & garages, POOL, central Air/Heat, controlled access, appliances, walk-in closets, private Patios/Balconies, blinds, ceiling fans, cable ready, on-site laundry EACH floor, superior ‘soundproof’ with our cement structure, on-site maintenance, enormous surface parking lot. Fast access to I-29 to travel City quickly! Pet Friendly (cats/dogs) with breed restrictions. 6-, 9-, 12-Month Leases. 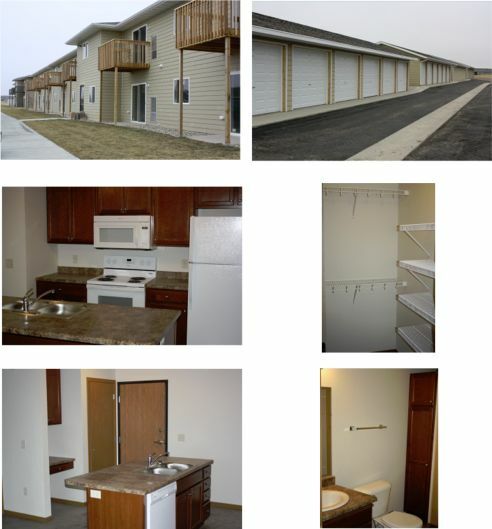 Hayden Pointe 1-BR, 3300 Westbrooke Ln (M-F 8 am-5 pm; Sat by Appointment (605) 361-0868; haydenpointe@hubbellrealty.com. NEW ‘Designer’ 1-BR Apts in Spectacular SW Setting! Various Floor Plans (650 – 750 sq ft) & 3 Color Schemes to choose from! Stainless Steel, Black OR White Appliances. Each unit has own Heat, Central A/C & Washer/Dryer. Enjoy some w/hardwood & ceramic flooring, all w/ceiling fans, some w/vaulted ceilings & pantry, walk-in closets, over-the-range Microwave, blinds, sliders from Living Rm to deck or patio, dead bolt locks, controlled access. Garage w/opener avail. Garbage & Water owner pays. Thoughtfully designed units in 15-unit bldgs provide ‘more Privacy’ & enjoyment of a grass courtyard. Fitness Center & Tanning Beds COMING! No Pets/Smoking. Security Deposit $400. Application Fee. 12-Month Lease. Meadow Ridge Apts, 3501 W 85 St & Louise. Avail SOON. 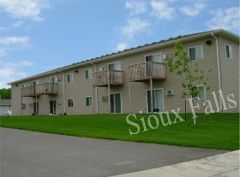 (605) 274-0164; 275-4601; meadowridge@sio.midco.net. Reserve Your Unit TODAY! BETTER than Best! STEEPLECHASE APARTMENTS: Exceed your expectations with these “customized-looking” floor plans in an upscale apartment home with amenities you won’t find just anywhere. These open floor plans give you remarkable space to feel right at home. After touring this luxury community you will find yourself thinking the good life just got better! Stop in at 5007 W Equestrian Pl just east of 18th St & Marion Rd between 12th St & 26th St or call (605) 274-3777 to view “second to none” in luxury living with opportunity to build equity in a new home of your own. CATS only with pet deposit.